Apple is continuing its attempts to get out of paying VirnetX $439 million after being declared to have infringed on the firm's patents, with the iPhone producer urging the federal court circuit to reconsider the verdict just weeks after the federal U.S. Court of Appeals denied Apple's appeal over the verdict. In a continuation of a long and costly legal battle between Apple and VirnetX, following its failure to convince the U.S. Court of Appeals that it should not have to pay a high cost for patent infringement, Apple is taking a new tactic in attempting to change the result. Rather than going to a higher court, Apple is asking for a reconsideration. According to Law360, Apple petitioned the entire Federal Circuit on Thursday to rehear a panel discussion that upheld the $439 million Eastern District of Texas jury verdict. 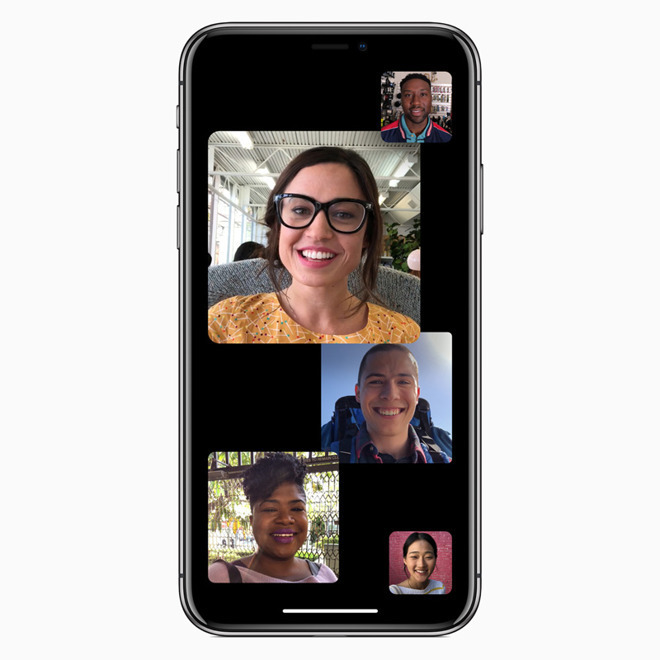 An April 2018 lawsuit found Apple had infringed on four VirnetX patents relating to secure communications, including its VPN-on-Demand technology as well as elements of FaceTime and iMessage. For that suit, the jury awarded VirnetX $502.6 million, bringing the total won from Apple to almost $1 billion when including a similar earlier case. The following August, Apple was denied a motion for a new trial, forcing it to appeal the verdict. The U.S. Court of Appeals denied Apple on January 15. Apple has had some success in avoiding payment to VirnetX for patent infringement. The first lawsuit in 2010 claimed multiple instances of infringement, but while a Texas court ordered Apple to pay $368 million for infringing one patent, the judgement was vacated almost two years later. That case was then added to another patent suit in a 2016 retrial, which declared Apple had to pay $625 million to VirnetX, but again this was tossed over claims the trial was unfair, due to jury confusion. After two retrials, VirnetX was awarded $302.4 million, then enhanced to $439 million. Apple using the lessons it learned at the feet of the master, Samsung. Just appeal everything. So, appeal until you get a number you like? It seems these days, fight everything and everyone in court, so everyone else doesn’t also sue. Unfortunately, nothing gets accomplished because there is little opportunity to settle (like cross-licensing). What would be great is a patent system that says you have to actually build something within a certain period of time to maintain a patent. If not you loose it. If you buy a patent it can not be used offensively unless you have a working product using it. Otherwise it is lost. A moderm Patent System That uses AI to search for similarities between patent applications would surface issues and prevent copying on most cases. This VirnetX company seems like quite the innovator! Where can I buy any of the products they produce with all this IP? ”Apple is planning to shut down its two stores in the Eastern District of Texas in order to avoid patent troll lawsuits”. ”Apple is planning to shut down its two stores in the Eastern District of Texas in order to avoid patent troll lawsuits“ surprised it took this long. The problem with patents like those held by VirnetX is multi-fold. which slipped by the patent office when issued. breadth requirements for claims, and who use non-technical juries to adjudicate. Richard Stallman was right that software patents are like minefields. It took this long because laws were only recently changed to allow location of business to be a determining factor in where a lawsuit is adjudicated. Are you sure about that? I only ask because contrary to your claim of purchased patents, there are rumors floating around that the founder of VirnetX - Robert Short co-invented the patents in question. In fact, that rumor mill claims that all of the patents held by VirnetX were co-invented by Short. So if the foundation of your argument is less than factual, could you see how the rest could be viewed as suspect? I've grappled with the dichotomy presented by the need to protect intellectual property versus the scourge that the non-practicing entity lawsuits represent. Perhaps the answer is to limit the royalties that can be demanded from patents that are not being applied (non-practicing) versus those that are applied in some product or service. This would give greater protection and rewards to those who own patents and are using the patented technology in their products, because damage from infringement is higher versus damage to a non-practicing patent holder. If you've gone through the expense of utilizing a patented process or mechanism, then you should be compensated greater when someone infringes that patent. But if you haven't, and therefore also haven't brought a new product or service to market that allows society to benefit from the invention, then perhaps you shouldn't receive the same compensation for infringement. There's perhaps a bit of precedent here in the FRAND royalty calculations for patents that are considered standards essential. The whole notion of SEP is that there's a greater good to society to allow multiple parties to utilize an invention as part of a standard and therefore it should be affordable for all to utilize the patented invention. Same here. Patented inventions that are sat upon don't benefit society, so there should be incentive to get those inventions into use. To give time for a new patent holder to develop products and services around a patented invention, perhaps the first few years after the patent is granted, it can be exempt from the rules I'm suggesting here. The current status quo would remain in effect. But after, say, three years, if you haven't shown that the patent is being developed into a product or service, then licensing limitations go into effect so that the amount you may charge for your invention will be limited, ala FRAND-type pricing guidelines. So, if you don't intend to utilize a patented invention, either accept the lower royalty rates so that others can utilize it, or sell the patent to a company that will utilize it and therefore retain full royalty and infringement enforcement power over it. VHC is not a patent troll and calling them such only casts aspersions. If anything, Apple is a well known patent pirate, as is the case here. Having looked through a number of documents in this case, what surprises me is that VirnetX has not, at least as far as I've seen, proven that Apple with intention copied their technology rather than serendipitously invented something similar (which happens all the time in high technology). Frankly, I think any decision that favours a patent troll coming out of the Eastern District of Texas should be automatically re-heard by a court elsewhere, given the notorious corrupt reputation the Eastern District has in this regard. The entire patent process needs a serious rethink, but sadly the US no longer has the brainpower, attention span, or will to undertake such a large and important project. Having followed these series of VHC v. Apple cases for 8 years and looked at all documents in these cases it has been shown, through Apple's own in house emails, through hours of testimony, and through four trials that, all of which ruled against Apple, that Apple intentionally copied Virnetx's patents. When Apple attempted a "work around" of the patent, customers complained so loud and so long that Apple was forced to go back and re-use the Virnetx patent. I believe some individuals no longer have the so called, "brainpower, attention span, or will" (quoted from Chasm) to allow individuals to protect their own IP and not allow a patent pirate to steal it. East Texas, West Texas, North Texas, North Dakota, it does not matter where the case is brought. Right is right, and theft is theft. All of the claims which Apple was found to have infringed have been invalidated by the PTAB. And verified once again by the CAFC 18-1197, which overrules the Obama's PTAB. Good luck with your half truths. "The appeals court dealt only with the Texas case, upholding the lower court's decision in a one-line affirmance, although it put off ruling on whether to affirm Patent Trial and Appeal Board decisions invalidating the patents." This turf war between the CAFC and PTAB is by no means over. allowable until addressed by Congress. But the Federal Circuit has not overruled the PTAB decisions which I linked to. It might, of course. Two of them have already been argued before the Federal Circuit. But, at best (from VirnetX's perspective), those decisions will be remanded for reconsideration. Judge Moore made it clear during oral argument that the Federal Circuit was not going to reverse those decisions. I spoke no half truths. I didn't say anything about the district court decisions. I noted that all of the claims at issue have been invalidated. Even if those findings of un-patentability are ultimately reversed, they speak to the reasonableness of Apple's position. The CAFC informed the PTAB last April that the ruling by the CAFC would be final and that VHC owned the patents. There is no reasonable position for Apple because, as I stated previously, Apple stated within their own emails that they had violated VHC's patent, then Apple attempted a "work around", which failed so miserably that Apple went back to using VHC's patent. Why would Apple have even attempted a "work around" if they felt they had not violated a patent? Fear, uncertainty and doubt, FUD, is the trademark of a short, manipulative position in a stock. (1) A decision by a Federal Circuit panel generally isn’t final. A losing party can ask for an en banc review or they can petition the Supreme Court for cert. (2) There hasn’t been a decision by the Federal Circuit on the PTAB decisions I linked to. That’s the point of my previous post. The Federal Circuit hasn’t overruled those PTAB decisions. It hasn’t even heard argument on the Black Swamp challenges (i.e. the ‘211 and ’504 decisions). The Federal Circuit has only ruled on one of the district court cases; the PTAB decisions are from different proceedings. The one doesn’t negate the other. VirentX could win 10 different patent infringement actions (and it has won more than just against Apple) and still later have the patents-in-suit invalidated by the PTAB. VirentX could even win one IPR (before the PTAB) and then lose a subsequent IPR considering the same patent (i.e. claims from the same patent). That would still, unless it won an appeal of that latter decision, mean that those claims were invalid. (3) Judge Moore, one of the judges on the panel considering the Mangrove challenges (i.e. the ’135 and ’151 decisions), made it clear during oral argument that they were not going to reverse the PTAB’s decision. She berated the attorney for VIrnetX telling him that he wasn’t going to get a reversal so stop asking for one. That makes sense as the Federal Circuit isn’t a trier of fact. It isn’t going to decide, as a matter of first consideration, the obviousness issue. So the best VirnetX can hope for is a vacate and remand. The PTAB would then have to reconsider the challenge, e.g. the obviousness issue. (5) A PTAB panel deciding that patent claims aren’t valid does speak to the reasonableness of a party believing that such claims aren’t valid. I’d say that, generally speaking, it speaks more loudly to that issue than a juries’ determination on that issue does. (6) I don’t know what you mean by that last sentence. For my part, I'm not a short term investor in Apple. You were wrong when you suggested that the Federal Circuit overruled the PTAB on those decisions (If you weren't suggesting that, you can clear that up if you'd like.) Again, as I indicated, it might with regard to some of them. But it has not yet done so. And even if the PTAB decisions in question are vacated, the PTAB may reach the same conclusions on remand.